Nothing normal is happening at the newly acquired Rivian Automotive Factory in Normal, IL. 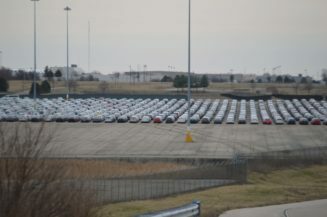 Teslarati has discovered a massive stockpile of Volkswagen’s “dirty diesels” being stored on the aspiring electric car startup’s vast factory parking lot. The VWs on site were produced over the course of 6 years between 2009-2015, and are vehicles equipped with an emissions cheating device that became the subject of the global “VW Dieselgate scandal” which took place last year. 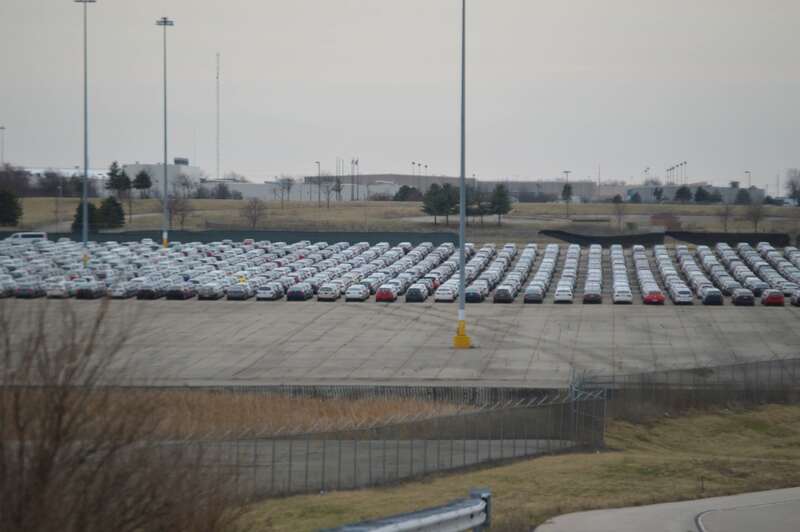 The owner of the plant, Rivian Automotive, is looking to make moves in the central Illinois town by developing their first production electric vehicle from the newly acquired ex-Mitsubishi factory. 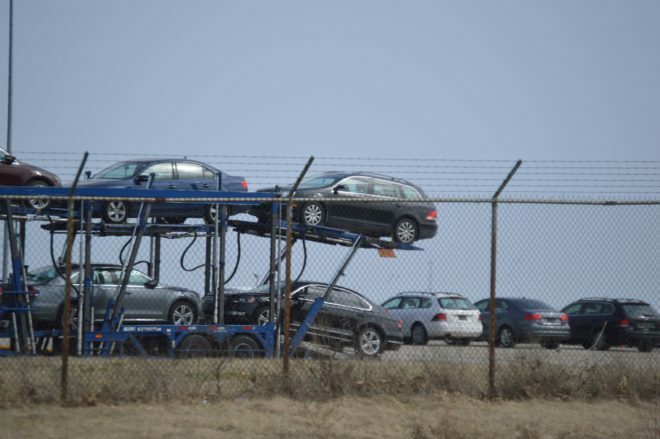 The company is leasing an onsite storage lot to a logistics company that’s responsible for transporting the thousands of affected vehicles to an unknown final destination. 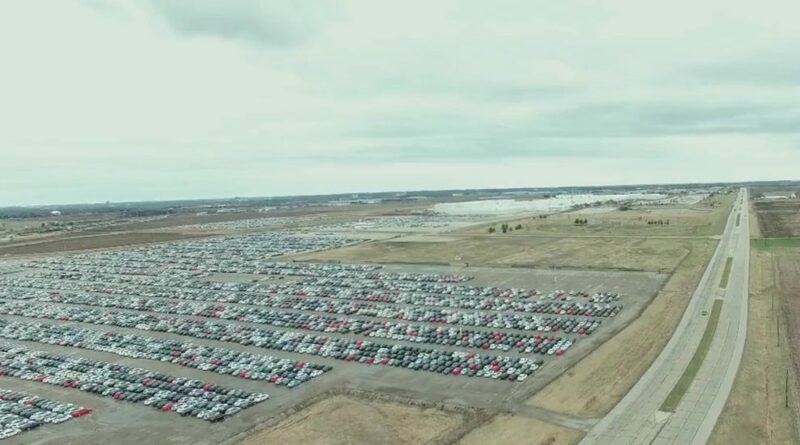 Aerial inspections obtained via drone video by Teslarati, show an estimated 14,000 VWs being stored on the facility lots adjoining Rivian’s main factory. The plant was owned by Mitsubishi Motors until June 2016, before Rivian Automotive purchased the entire facility in January 2017 for $2 million. The facility was built in 1988 and boasts 1.9 million square feet of space, before expanding to 2.4 million square feet in 2003. Mitsubishi’s sales of the Outlander Sport (the sole vehicle produced at the factory) slumped when the Russian recession began in 2014; the vehicle was a massive hit in the country. The plant once employed 3,400 employees and ended production with 1,280 in late 2015. Images showing thousands of VW diesels on site paint a clear picture of the German automaker’s failure to come up with a real fix for vehicles equipped with emission cheating devices. 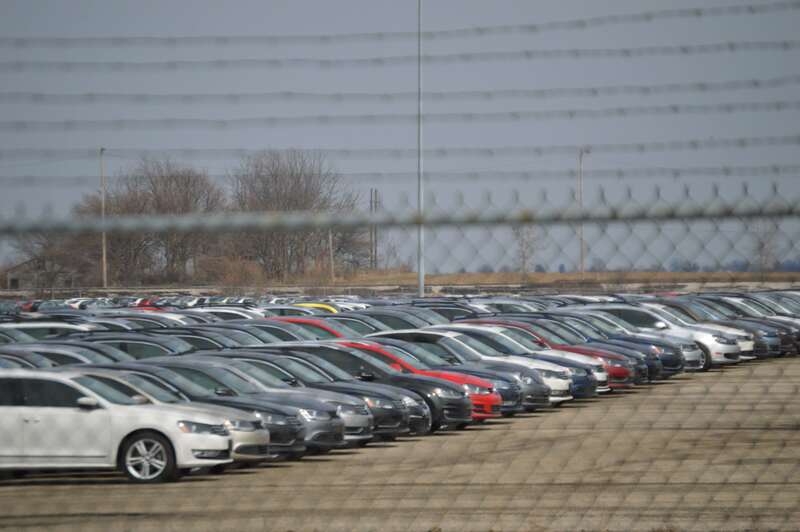 VW has also been storing affected vehicles at the Pontiac Silverdome but based on our estimates, Rivian’s factory storage lots are approximately two and a half times larger than the Silverdome’s lots. “These vehicles will be held and routinely maintained until it is determined whether an approved emissions modification becomes available. 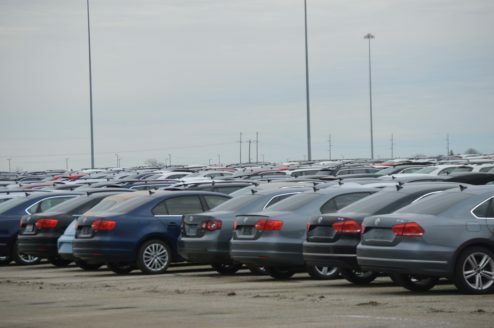 If approved, the settlement allows Volkswagen to modify affected 2.0L TDI vehicles so they can be returned to commerce or exported. Vehicles that are not modified must be responsibly recycled.” – Jeannine Ginivan, Volkswagen Group of America, Inc. 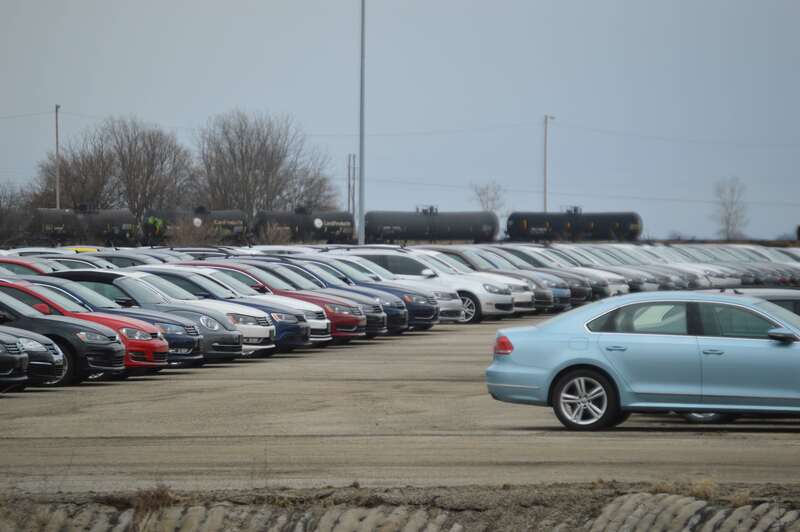 The vehicles stored at the site are expected to be pulled for parts and scrapped, but the company has not released official plans for all of 475,000 vehicles affected in the US as part of “Dieselgate”. VW is in the process of buying some vehicles and working towards solutions for vehicles that have been less affected by the emission devices. The 67,000 2015 3rd generation VW diesels were the first to receive an approved fix earlier this year. The fix does not bring the cars within federal compliance, but the vehicles emit significantly less NOx pollutant. VW is expected to release a phase 2 fix for the 3rd generation vehicles in 2018, which will bring the vehicles into federal compliance. A spokesperson for Volkswagen Group of America told Teslarati that they have removed or modified more than 25% of the affected vehicles in the US, insinuating that the firm has bought back over 50,000 diesel cars since beginning the program four months ago (~67,000 were modified). Owners of affected vehicles that have been given an approved fix also received two-thirds of the restitution cash that the company is issuing to customers. The last third will be distributed to owners after the phase 2 hardware update is completed. The phase 2 modifications are not designed to cause major differences in consumption or acceleration, but the cars efficiency and driving characteristics may change. Recently, The Daily Mail has reported that fixes to UK cars have resulted in “poor fuel consumption, weak acceleration, and mysterious rattles”. While the terms of the deal between Rivian and Vascor Logistics are confidential, we know that revenue from the contract is contributing to the development of Rivian’s electric vehicle lineup. 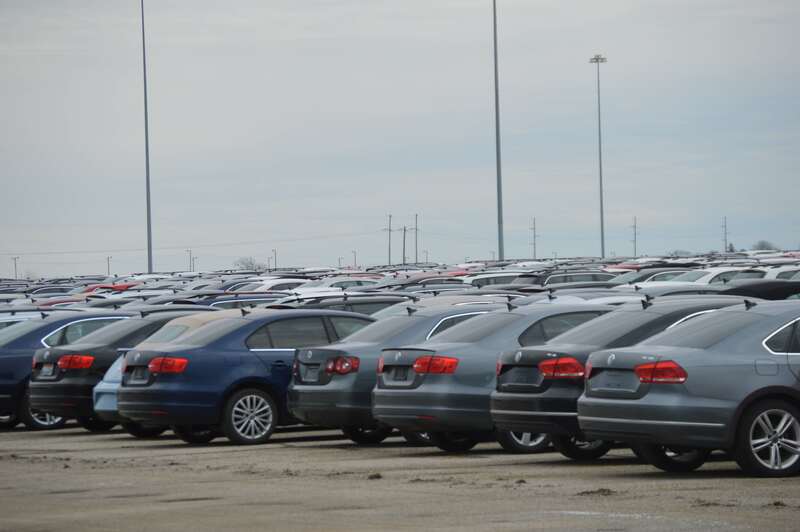 The global logistics company provides significant logistical services to automotive companies, one of which is VW. Rivian took ownership of the factory in January and has received incentive deals from both the State of Illinois and local municipalities. “We are working hard to utilize the factory leading up to our production launch.” Rivian CEO, RJ Scaringe said in a comment to Teslarati. The factory has direct access to several nearby interstate routes and has a rail car station directly on the property. Mitsubishi shipped a large portion of its vehicles around the globe from the facility, and to this day still has an operations warehouse near their old plant that’s being used for vehicle parts storage and logistics. As Rivian continues developing their electric vehicle lineup, the company can make use of the factory by leasing out the vehicle storage lots and generate revenue. It is unclear how many more vehicles will be stored in Normal, IL or how long the vehicles will be retained on site, but Vascor’s operations at the factory appeared to be very active. VW’s polluting diesels are now giving way to the future of the automotive industry. Vascor Logistics & Wheelan Security did not respond to our request for comment.